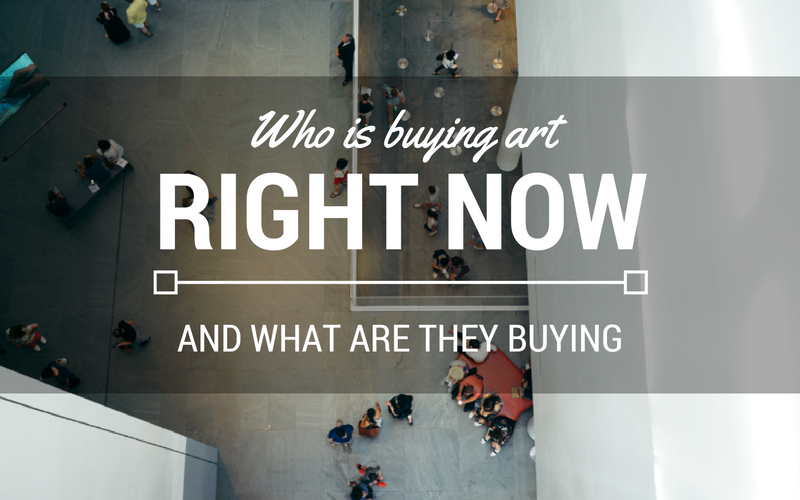 Who is Buying Art Right Now? It’s clear that the art world only continues to grow, even with the changing social and economic landscapes. Online art sales are increasing and sites like Instagram are making it easier to discover emerging artists. When boiled down by country, the United States has boasted the biggest share of the global art market and percentage of art collectors worldwide in recent years. The next largest shares were grabbed by the United Kingdom and China, respectively. But, the number of collectors in developing countries is expected to increase rapidly in the coming years. While all generations have a hand in art collecting, the overarching theme seems to be that different generations collect art differently—and for different reasons. For instance, U.S. Trust found that the importance of collecting for aesthetic value increases with age. This mature group is also most likely to say that investing in art is risky. Millennial collectors, on the other hand, are more likely to take risks, go above and beyond when it comes to networking in the industry, and use social media to both buy art and supplement their research. And, although you may not be surprised to hear that social media plays a factor, Artnet News maintains that millennials equally buy art in person and online. Furthermore, younger collectors are more inclined than their older peers to view art as a financial investment reveals NPR. There’s even a current trend among millennial collectors to “flip” a piece of artwork they’ve collected—sell it and use the profit to grow their collection. However, this practice is generally frowned upon by older collectors who would rather track an artist’s progression or use their collection in lieu of an autobiography. It’s no surprise that wealth is another major factor in the art collecting market. In fact, one in five high net worth individuals collect art, explains U.S. Trust. And, the wealthiest individuals are more likely to use art to build their wealth and diversify their investments. Those purchasing art also tend to be very educated, with sixty-three percent of art buying households earning a bachelor’s degree and education being a key demographic variable for interest in art remarks Luxury Daily.